What does a Chamber of Commerce do and why should I join? A chamber of commerce is an organization of organizations seeking to further their collective interests, while advancing their community. Business owners form these local networks to advocate on behalf of the community at large, economic prosperity and business interests. Chambers have existed in the US for more than two centuries, with many having been established before the jurisdictions they represent. 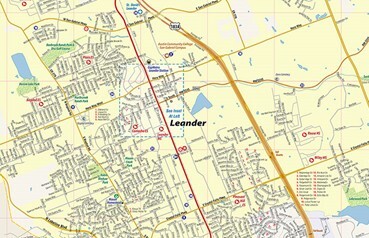 Leander’s chamber was established in 1947, long before the city. Chamber missions vary, but they all tend to focus to some degree on five primary goals: Building communities to which residents, visitors and investors are attracted; Promoting those communities; Striving to ensure future prosperity via a pro-business climate; Representing the unified voice of the employer community; and creating well-functioning networks. Chambers have other features in common. Most are led by private-sector employers, self-funded, organized around boards/committees of volunteers and independent. They share a common ambition for sustained prosperity of their community/region, built on thriving employers. Local organizations are voluntary paying members of a chamber. The membership, acting collectively, elects a board of directors to set policy for, and guide the workings of, the chamber. The board or executive committee then hires a chief executive to run the organization. Together our Board and staff works to ensure your success in Leander by offering our membership benefits and services to all of our members. The true value of any chamber membership is found in the relationships developed, economic development and advocacy on your behalf. These help to keep our local business community sustainable and growing! There are also a number of direct, tangible benefits that members can use right away. click below for full details. 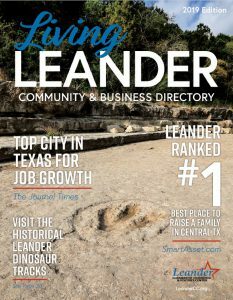 Check out the prices and membership benefits of the Leander Chamber of Commerce. We will organize an event in honor of your investment that is complete with the ceremonial scissors and ribbon, invitation to the elected officials and local VIPs, promotion of your special event. To further market your business, the Chamber will post a photo and brief summary on our social media sites. Chamber Members are listed by business category and by keyword search in our online directory. Chamber Members can list their community related events free of charge in our online calendar. Exchange discounts on products and services. The Chamber offers free and discounted member programs such as Networking Connections, SCORE programs, and educational luncheons. The Chamber provides members with plaques and annual window decals to send a positive message about your business. Your commitment to the region is demonstrated by your membership in the largest, most influential business organization in our community. I am ready to Join the Chamber!